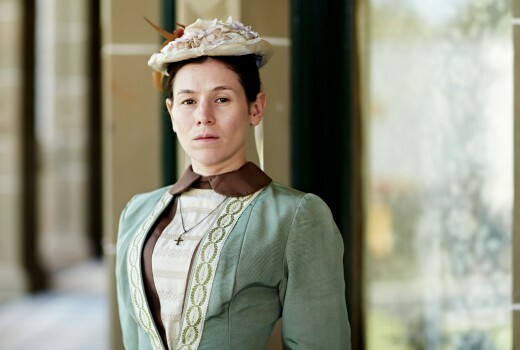 “I have never been to Hanging Rock,” admits Yael Stone. “My character doesn’t go on the Picnic because she is charged with staying at home. And we did some press at the Rock but I was too pregnant to climb it. In fact everything about Picnic at Hanging Rock makes Stone a very wary woman. Whether it is the Central Victorian formation itself, Joan Lindsay’s haunting 1967 book or Peter Weir’s 1975 revered film, she admits to being cautious. “I think they are both incredible works in their own right. It’s definitely a big call when you approach a remake of something so wonderfully successful in its two existing forms. You think ‘Hmm, why are we doing this? How will we do it?’” she tells TV Tonight. The 6 part Foxtel miniseries adopts a bold take on Lindsay’s novel and is attracting attention, global sales and polarising opinions. Stone acknowledges the high sense of visual in the FremantleMedia adaptation, but is silent on how far it moves away from the novel. “It’s not my place to comment on that. We should let viewers have their take on it. There will always be people who have a reaction to something they feel deeply connected to. And that’s great, because it provokes a response,” she explains. “I imagine you can’t delete the fact that Peter Weir’s film exists and had such an impact. So there are certainly influences, even if it’s about wanting to move away from that and do something different. Stone, whose breakout role in Orange is the New Black has seen her in demand, plays teacher Dora Lumley, a right-hand woman to principal Mrs Appleyard (Natalie Dormer). “Dora is pretty tight and wound up and desperately trying to seek the approval of the head mistress and find some kind of power with the girls. Nobody likes her, they hardly know she exists,” she continues. As she embarks on motherhood for the first time, she remains staunchly committed to storytelling and the themes Picnic at Hanging Rock raises in an era of female empowerment. “I feel deeply Australian and I think it’s important to engage with Australian stories and talent. A big priority of mine is making the effort to find work here that feels engaging and satisfying. “By the same token it’s great that Australians move through the world, sharing talent and stories. So it’s about finding that balance,” she observes. “I would love to be a mother and be really committed and proud of that but also to keep telling stories. A young mother’s perspective as she grows up is really important. And I think we are seeing more and more stories being made for women beyond 35. “We are seeing different women being represented in the media and I am grateful to be working at this time as we expand the vision of what it means to be a woman in storytelling. 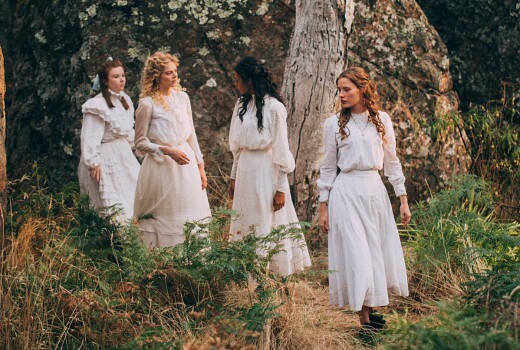 Picnic at Hanging Rock airs 8:30pm Sundays on Showcase.